'Tis the season with this holiday arrangement full of Christmas blooms! Will brighten up any room or office. 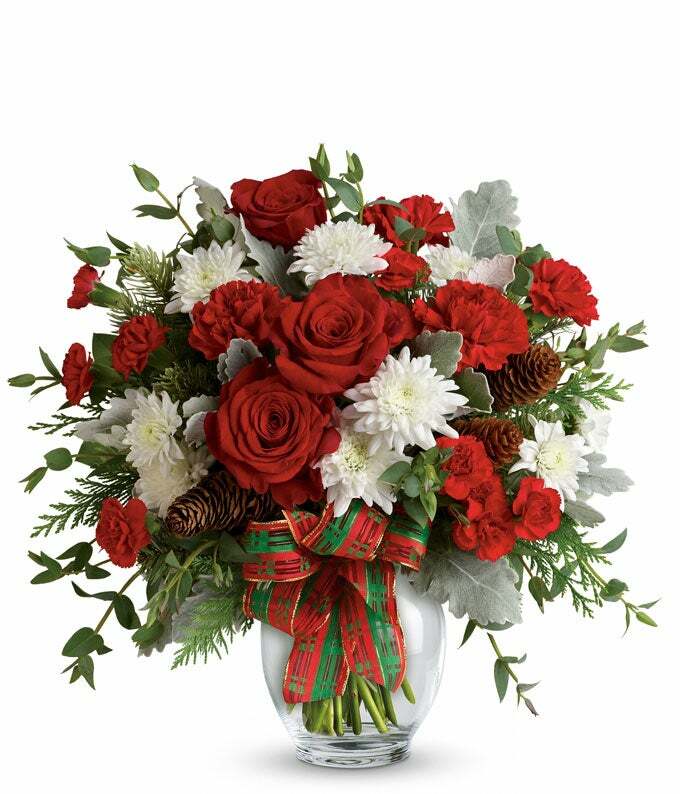 Created with holiday flowers including red roses, red carnations and white cushion mums all in a glass vase wrapped with a holiday-themed bouquet. Hand-arranged and delivered in a glass vase. Note: Red roses are included Deluxe and Premium sizes only.